Looking for Package Deals to Virginia Beach? We have those too! Virginia Beach is a popular resort city and has the longest pleasure beach in the world, as listed in the Guinness Book of Records. Also known as the Tidewater Region, Virginia Beach is located at the southern end of the longest bridge-tunnel complex in the world. A perfect setting for a golf adventurer, its humid subtropical climate and the unbeatable courses make up a golf enthusiast dream destination that is just waiting to be explored. 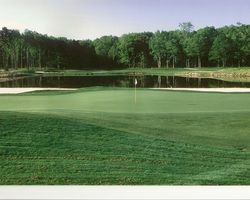 Test your game at the premier courses of this Eastern Seaboard town. 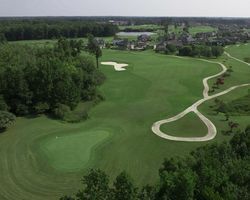 The Virginia Beach National - a Pete Dye design, 18-hole course, hosts the Virginia Beach Open Nationwide Tour event every April, a challenging course that tests anyone's ability. Another daredevil course is Hell's Point Golf Club, the intriguing greens, provocative fairways and the 61 sculptured sand traps are sure to heat up your game. 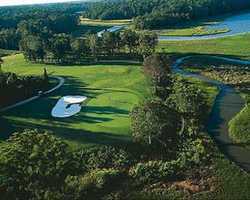 A legendary golf experience is the promise of a Virginia Beach golf vacation.